Reproduction. 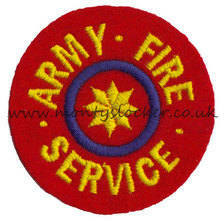 Machine embroidered thread on a wool cloth background. Manufactured by Monty's Locker.